Disney | The Computer Says How? Is Customer Experience Really Business Process Excellence? Customer Experience is a strange term for companies that basically execute their processes properly. The word “Experience” gives the impression that you enjoy using the product or service yet in our day to day lives we engage with the majority of businesses on a transactional basis. We are looking for efficiency and delivery rather than enjoyment. Failure to understand this has led many organizations down the wrong path of trying to deliver customer experience rather than what they should be focusing on, process excellence. In part the cult of Customer Experience has been driven by lifestyle brands such as Apple, Disney, Nike brands we enjoy using because they are associated with leisure experiences. For the majority of businesses I engage with on a regular basis; banks, retail outlets, dentists, utilities all I want from them is efficiency and delivery on their commitments. Nothing more. I certainly don’t want my bank to start giving me discounted hotel bookings (they do), my ISP to give me tickets to the football (they did) or my dentist to give neck rubs (not yet). Is it possible to have a customer experience at the dentist or with the company you’ve hired to unblock your drains? I go to the dentist to have a problem with my teeth fixed and I’ll return if they do their job properly and efficiently. Same goes for my bank. At the moment my own bank in the UK is so dysfunctional I’m impressed if they can switch the lights on in the morning. I’m currently in the process of switching bank because they failed in basic service delivery not because they failed to deliver an experience. When I change banks I don’t want an experience with my new bank either. In fact considering the state of my account the less interaction with my bank the better. I don’t need coffee or some faux joviality from the agent when I’m in the bank. 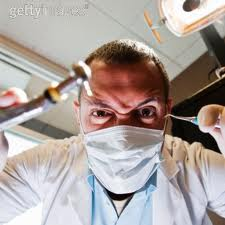 Like the dentist I want them to execute their processes as painlessly as possible. In many cases I think that companies that are defined as leaders in Customer Experience really deliver Business Process Excellence. I’m not denying that Customer Experience doesn’t exist. Yes there are brands and companies that deliver process excellence and who are enjoyable to do business with but these tend to be lifestyle brands. For many businesses struggling to handle the double whammy caused by web retail and the recession and being seduced by Customer Experience I say forget about it. Focus on your business processes first.